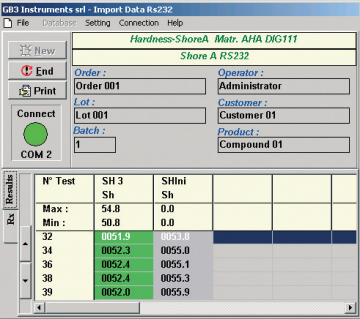 The instrument measures the resilience of elastomers with hardness ranging from 30 to 85 IRHD points. The Resilience is the ratio between energy yield and energy applied in the impact between the instrumet's hammer and the specimen having dimensional characteristics defined by the standards. This measure provides useful indications regarding the dynamic behavior of an elastomer. The measurement is performed by determining the rebound angle of the hammer following the impact. The instrument provides direct reading of the resilience value. The results of 5 tests performed on the specimen, their mean and standard deviation are displayed. 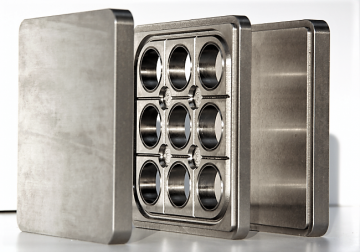 The sample holder is conforming to ISO 4662 and ASTM D 7121 standards. 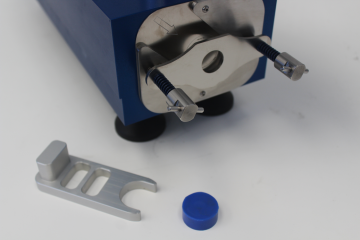 The application tool supplied with the instrument premits easy insertion and removal of the sample. Gibitre_Serial Connection software for data storage and printout. 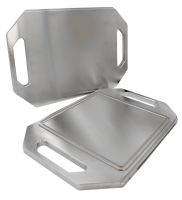 Mould for preparing specimens in compliance with ISO 4662 and ASTM D 7121standards. Recording of 5 test results (Rebound %) and automatic calculation of mean and standard deviation. 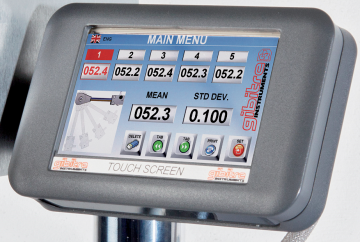 Touch Screen display for instrument setup and results display. Usb port for data export. Windows based software for data storage available. 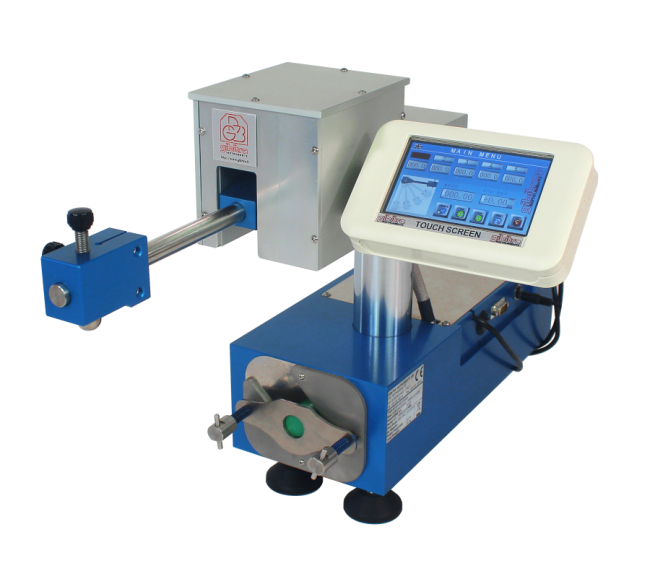 Schob type Rebound Tester fitted with touch-screen Display system for the calculation of the resilience of elastomers with hardness between 30 and 85 irhd.